Spam is everywhere on social media. And no, I am not talking about the canned cooked meat made by Hormel Foods Corporation. I am talking about messages and actions created by bots and fake accounts. It feels like wherever you go on social media, bots are there to spam you. It can feel like there just isn’t a way to escape from them and their actions. Spam can seriously harm your brand’s reputation if it’s not dealt with in the right way. Therefore, having a clear plan on how you’re going to deal with spam on social media is crucial for success. If you’ve been on social more than a few days, you’ve probably already received comments or likes left by fake accounts. 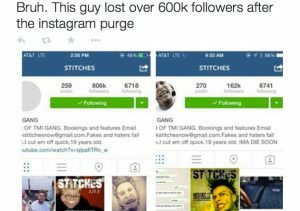 In 2014, Instagram did a huge operation against spam accounts on the platform, now known as the Instagram purge. Instagram deleted millions of accounts over the course of a few days, and more than 29 percent of Instagram’s very own followers, or 18.9 million users, disappeared from Wednesday to Thursday. This is just one example of how much spam accounts there really is out there. In this article, we’re looking at how you can quickly identify spam on social media and how you can protect yourself from it. The spam-follow technique is a proven tactic to help you grow your followers quickly on social media, and this is a tactic that is used widely by people on Instagram and Twitter in particular. The method is simple and involves following tons of people in the hopes of getting them to follow you back. Sometimes, this method also involves unfollowing the accounts you’ve followed after a while to make your follower/following ratio look better, and in Instagram’s case, be able to follow more people when you’ve reached the maximum limit of 7500. The truth is that this method works very well, and that’s also the reason why so many people use it. But that does, however, not mean that you’re getting quality followers. Instead, you’re attracting spam accounts. To demonstrate, I spam-followed 30 accounts on Instagram and over the course of 5 minutes, I accumulated 5 followers. Do you think these followers were high-quality followers that I actually want? Spam-following accounts may bring you followers, but they bring just the type of followers that gave the name to the action itself: spam (followers). It might hurt a little to see your follower count decrease, but the truth is that you’ll be far better off without being followed by accounts that belong to spammers. Spam accounts bring no real value to your brand, because most of the time, they aren’t run by a person. They’re run by an automated program. In other words, these are accounts that have no real interest in your business or products. If you’re using social media for marketing, to gain more exposure for your business, and ultimately drive more sales, you’re using hashtags. If not, you got a lot to think about. Hashtags are great for driving more exposure to your brand on social media, so why am I bringing them into the discussion? Because they might be the reason you are receiving spam on social media. You’ve probably seen an upswing in likes and comments when using hashtags, but how many of those are actually real, and how many of those are left by spammy bots? While you don’t know it, you might be using spammy hashtags. On the surface, they look innocent and all, but when you look closer, you realize that they’re heavily used by bots. While bots necessarily don’t use the hashtags themselves when posting spammy posts, they’re using hashtags to identify accounts and posts to spam on. So-called broad hashtags are the type of hashtags that are mostly used by bots. These are hashtags that have lots of posts and aren’t specific to a subject. They can be everything from #Happy, #smile, or #awesome. While you sit there all happy and smiling because you receive lots of engagement from them, the engagement might, in fact, come from robots that automatically using those hashtags to comment, like and follow in order to get you to find their account. Therefore, I strongly suggest that you take a second look at the hashtags you are using. Are they specific or are they broad? Generally speaking, the broader the hashtag, the more of the interactions will come from spambots. When you report fake accounts that are spreading spam, you’re doing everyone a favor. Except for the creators of the bots of course. When you’re reporting fake accounts, you’re not stopping them to create more accounts. They’ll just continue to create more and more, but you’re solving the biggest problem: bots that are targeting you. Fake reviews are reviews from users that never actually used the product. Normally, these reviews are also left by fake accounts. In fact, you can pay different users to leave positive reviews to boost your product, but the same can be done for the opposite. A competitor might want to harm you, or automated bots are just randomly leaving bad reviews of your business and these types of reviews can have a devastating effect on your business overnight. Unfortunately, there is no real way to protect yourself from this, but the best solution is to deal with them as soon as they appear. First off, it’s important that you separate a disgruntled customer review from a spam review. Don’t report an angry review that belongs to a real customer of yours that is talking from real experience. Instead, try to solve their problem and identify what went wrong so you can avoid making the same mistake again. It is therefore important that you are able to separate the spam reviews from the real and are able to take action accordingly. If you’ve ended up in the middle of the storm’s eye, turning comments off on a post you’ve shared might be a necessary action. You can turn off your comments on a variety of different social platforms, including Facebook and Instagram. 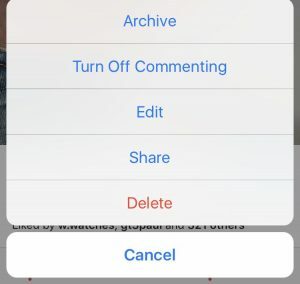 To turn off comments on a post you’ve shared on Instagram, go to your post and tap the three dots in the top-right corner. In the menu that appears, tap “Turn off commenting”. Thi will prevent anyone from commenting on your post, including fake accounts spreading spam. You can also disable comments more strategically. Let’s say you’re running a giveaway and want to ensure that only genuine followers enter. You can then turn off comments at the times when you know spammers are most often active. 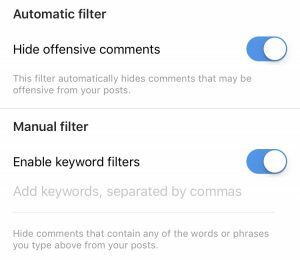 Remember that disabling comments isn’t just possible to do on Facebook and Instagram. It is especially important to monitor spam on giveaways because not doing so can reduce the trust people have in you, and ultimately even cause people to abandon your brand. On Platforms like Instagram and Facebook, you can also prevent comments that include certain keywords from being posted on your photo. What you do is type in keywords that you know bots are often using and then save them on the app. On Instagram, you do this by going to your profile’s settings and tap “Comments”. Activate “Manual filter” and type in keywords separated by commas that you know are often used by spammers. This will prevent common spam-comments from ever appearing on your posts. For Facebook and Instagram, this goes for both organic or paid posts. If there’s something you should be cautious with, it’s links. 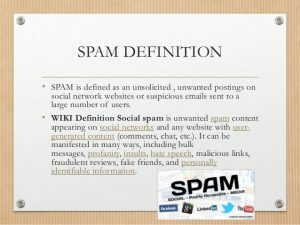 This does not only go for on social media but all across the web – emails are notoriously famous for being used to spread spam-links. On social media, bots and spammers often share malicious links that will inappropriately harm, mislead, or in any other harm the receiver – in this case, you. 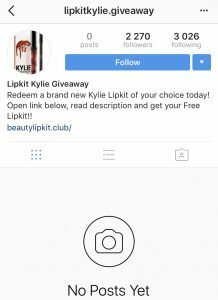 Luckily, on Instagram, this isn’t a big of a problem, because they’ve only made it possible to share clickable links in your bio, Stories, and through Direct Message, thus preventing a lot of bots and spammers from using the platform as a tool to spread spam. When you use social media, you need to be very careful with the links you click on. In the worst case, you can end up clicking on links that download malware to your device or directs you to sites designed to steal your personal information. Spam on social media can be extremely damaging to your brand. Today, millions and millions of spam accounts are present on social media, and more are being created every day. To protect yourself from any type of spam-activity that they’re doing, you need to have a clear plan and strategy for how you’re going to tackle them.